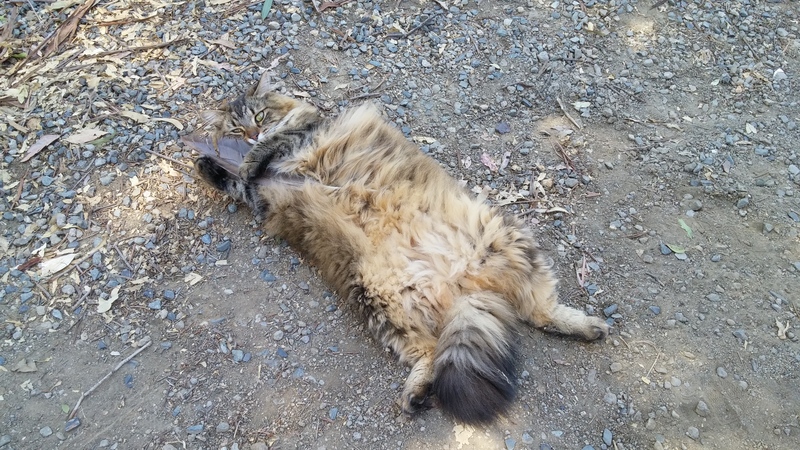 It has come to my attention that I have not included little miss Fat Cat in the blog posts lately, so here is an update on what the princess of the trailer has been doing. 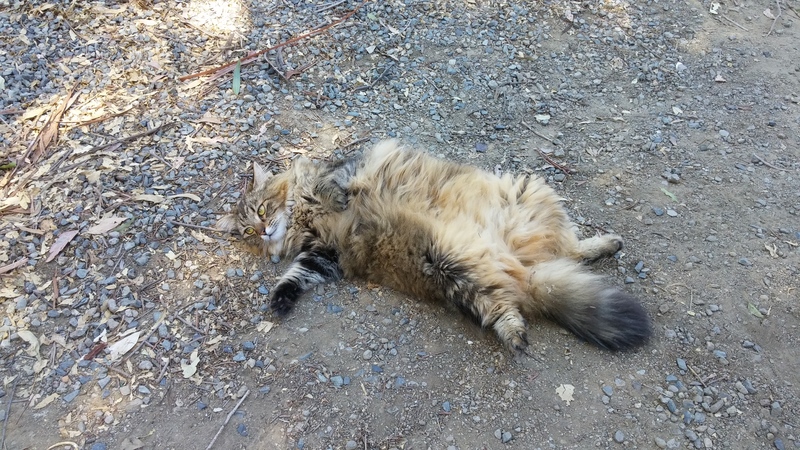 Little Miss Kitty (aka Fat Cat) has been enjoying RV life. She loves seeing different kinds of animals outside of our camper at the different locations we’ve been. She has chased birds, ducks, rabbits and deer (yes even the deer run away from her because she’s such a scary monster). If only those other animals knew she really isn’t all that scary, rather she is quite the scaredy cat. 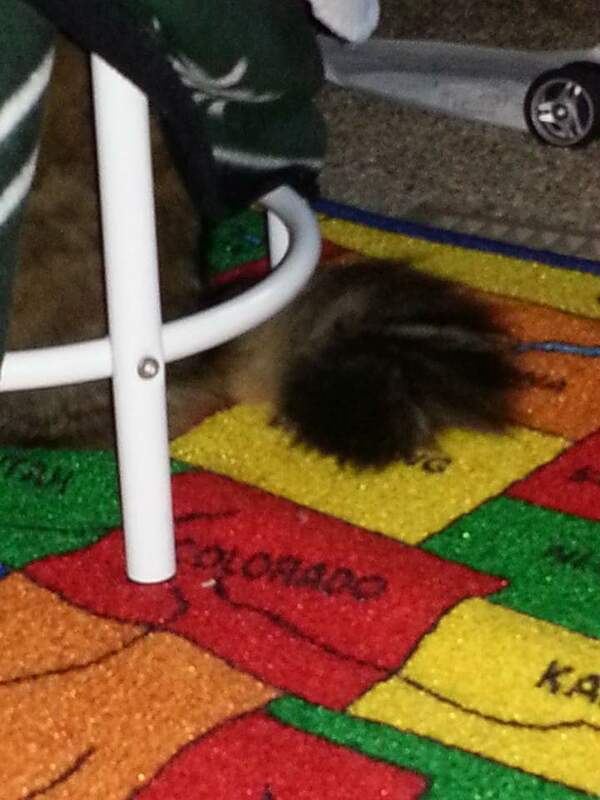 Usually she is on a leash outside, but sometimes she gets out without the leash and hides outside under the camper. 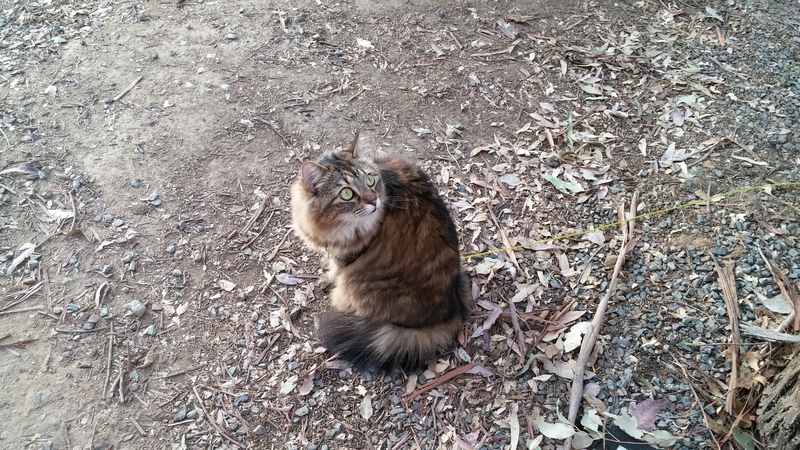 If she gets left outside accidentally, she is begging at the door to get back inside. Here she is looking for birds. 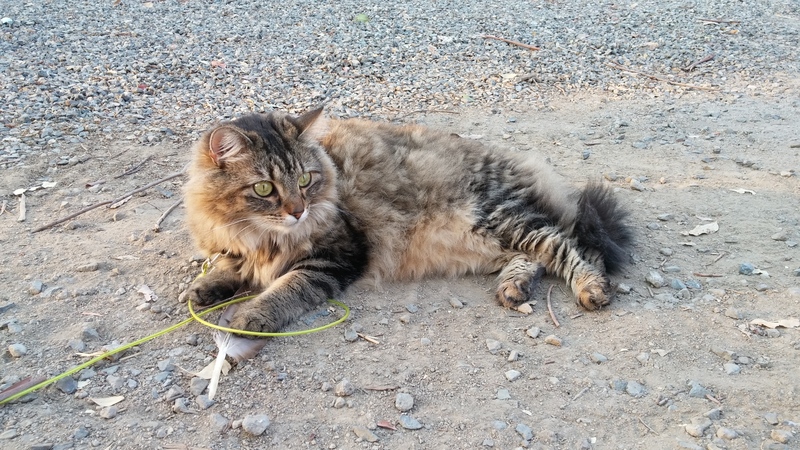 She found a goose feather. Usually she just rolls around on the ground getting as dirty as she can. I get up early in the morning so I can get some work done, and she’s so sweet at that time of the day and lays right next to me while I work. 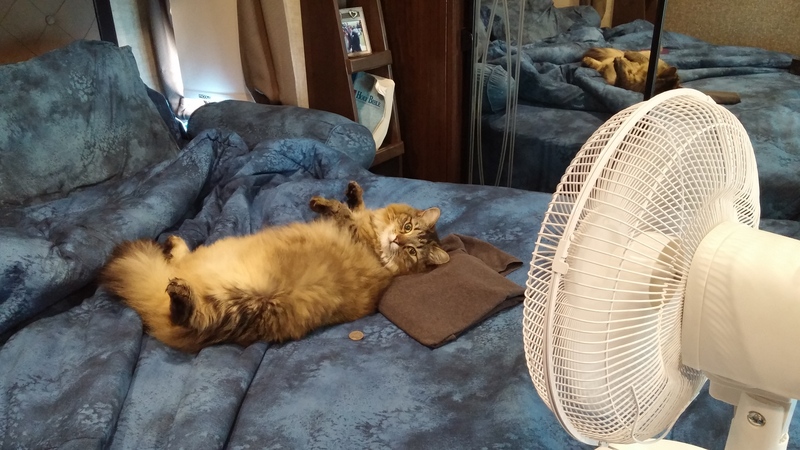 Most of the day you can find her very busy lounging on the bed with the fan keeping her cool. And when the kids build a fort out of blankets in their room, she likes to hide under the blankets. She thinks we don’t know she’s under there. 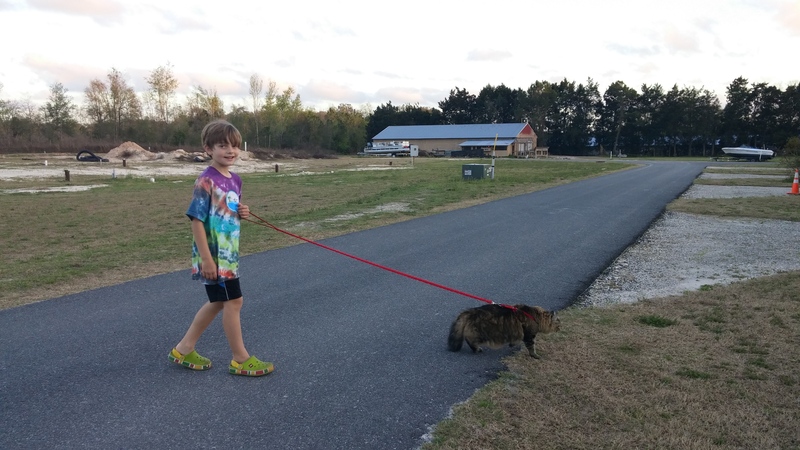 Sometimes she goes for a walk with Jake but not very often. She’s not crazy about that because you know she wants to maintain her full figure, and she never wants to be too far away from her food. 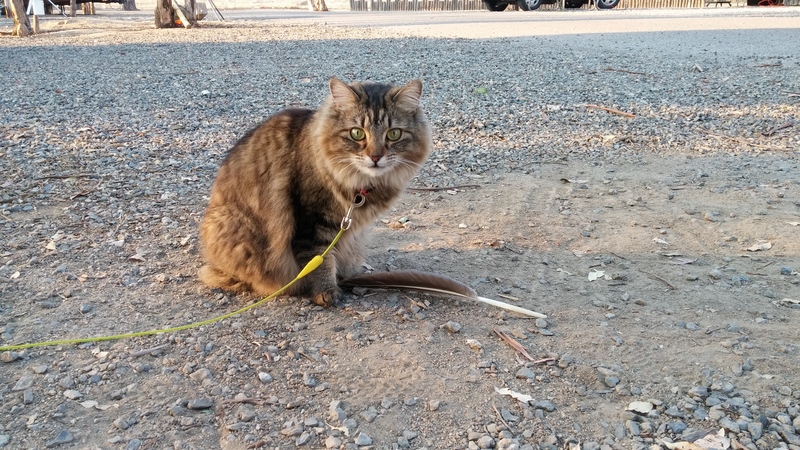 ..and cats are so dignified, they get embarrassed at the thought someone would see them on a leash! Got a question! How do you transport her when you travel? 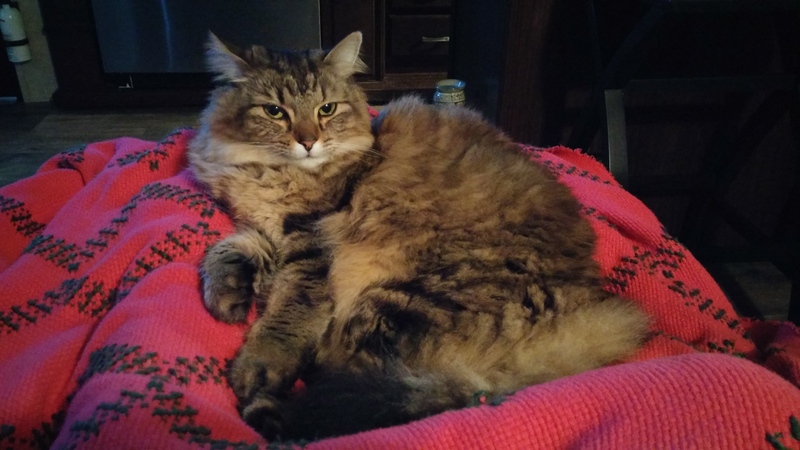 We are looking at going on the road full time, but have 4 cats and we are trying to figure out what is the best way to handle them when we travel between campsites! She rides in a cat carrier in the backseat of the truck. She has really gotten used to it and just sleeps most of the drive now. But I do know people that leave their cats and dogs in the RV while they are traveling. Since you have 4 they may not all fit in your tow vehicle so the RV could be an option. Just make sure that the cats are in a safe place when you put the slide rooms in and out. I have heard terrible stories of cats being killed while being wedged in between the slide and wall and the owner not realizing it when they put the slides in.